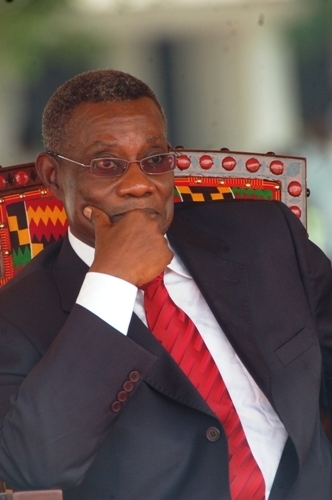 Since the tragedy that happened last month-lost of our great President, there have been much lamentations, discussions about His Excellency John Evans Atta Mills and his legacy, and practical talk about the funeral details, costs and locations. 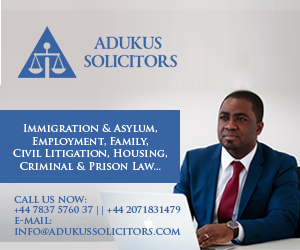 Ghanaians in the Diaspora have been as much interested and engaged as Ghanaians living in Ghana, and many Ghanaians in the UK were anxious to view quality coverage of the event. Luckily for Ghanaians in UK, there was some screening of the funeral on African Channel BEN, which I think was streamed directly from GTV… There were some issues such as poor camera angles and hardly any commentary, plus the coverage was cut off in the middle. There was a point where a prayer was being said, yet the camera was focused on our current President His Excellency John Mahama, and his wife frantically looking for, and reading the programme handout (not criticising the President at all). I’m sure he was preparing himself for the next stage of the programme, as he should-but a cameraman should know not to show such things, as it doesn’t give any good impression. The cameramen also focused a lot on a particular guest who seemed to be sleeping. Again, this shows some lack of professionalism on the part of the camera crew. There was also some Youtube live streaming of the funeral provided by Joy FM which had great written commentary, but the spoken commentary was not good at all. There were times where the commentators were asking some irrelevant questions about the soldiers and making some oblivious observations about an individual fainting. It was a very solemn event, but the coverage I saw did not match the respectability required for proceedings ( I mean from the Diaspora). If you are a Ghanaian living in the UK, USA or any other place, how did you find the coverage of the funeral? Were you able to even watch it at all? As a Ghanaian in the US, I was more than happy to be able to see some footage of the funeral. The footage wasn’t great but I am thankful that it was available to me. Professional or not, the people of Ghana were able to let their mourning known to the rest of the world. And for that I’m thankful. I live in Italy, and i watched it via myghana.tv. I must say, i was really happy watching it, the footage to me was great and the most exciting part was when they will take a break for the NEWS and it felt soo good to listen to the news like am in Ghana. I am very grateful bcos they took me to Ghana 4 3days,lol.